If you are looking for the latest and cheapest in-store deals for your weekly grocery or maybe that much-awaited kitchen upgrade, here is where you can find them. Spend as much as the minimum amount required and get up to 40% off the regular price. Free deliveries are also offered on top of these special offers and discounts. Extended warranty on gadgets or appliances or you can also get freebies and voucher codes you can use for your next online or in-store purchase. Why not check these deals at Debenhams, Wilko, ASDA, Tesco, and Morrisons? In-store deals are often bigger and better than online deals. Here on Latest Deals, we’re always on the lookout for fab discounts, promo codes and vouchers you can use when out and about. 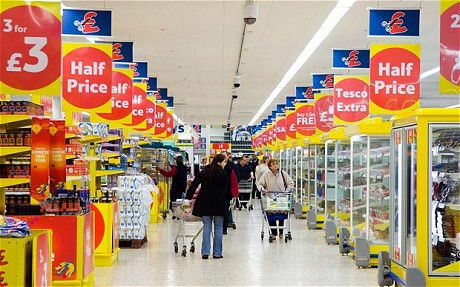 Companies are introducing new features for discount vouchers especially when combined with click and collect. Many online shopping companies give you discounted prices when you collect your order from their physical store (after all, they save on delivery!). 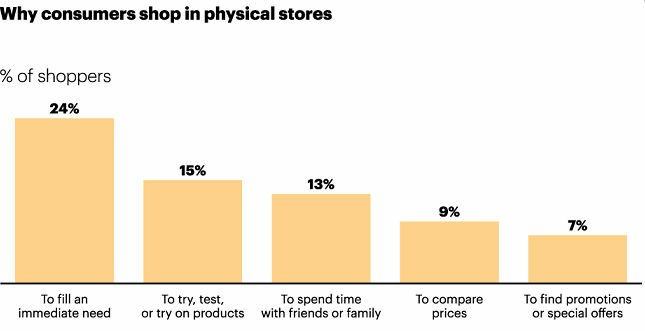 Being able to purchase online and instore definitely increases your range of options. For example, Sainsbury’s Tu Clothing often has a 25% off sale. In-store, you’ll see a limited range of clothing but online has everything - including all the sizes. But, there’s free click and collect. 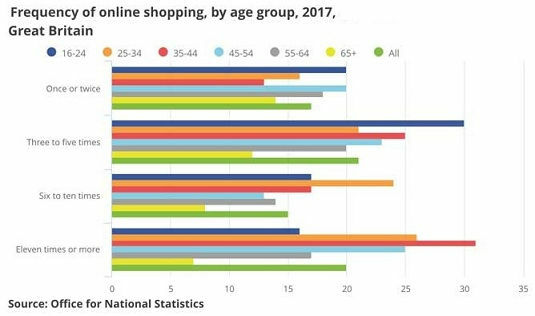 So it’s best to order online and then pick up when you’re doing your usual shop. Another example is Sports Direct which often gives you a £5 voucher when you choose click and collect. This helps you save money on your next purchase. Alternatively, there’s a whole world of extreme couponing which we love. You can get coupons to thousands of products online, print them out or put them on your phone, and then apply when you’re in the supermarket or elsewhere. Where can I get the Best In-store Deals in the UK? Here at Latest Deals, you will find the latest in-store discount codes and voucher codes for a wide selection of products from major UK retailers such as Tesco, ASDA, Sainsbury’s, Argos, Home Bargains, B&M, Superdrug, Iceland and more. The good news is, you can still use common discount codes for your purchases. There are also restaurant vouchers that are being given for a limited time. You can even share some printable gift vouchers to friends and family. Our team of money saving experts and community of bargain hunters are always on the lookout to find the best possible in store deals online to ensure you will get the best savings around. If you want to purchase an item from a physical store, make sure to use your printable vouchers to get discounts. We have a wide range of instore discount deals, Black Friday deals, deals of the day UK and best promo codes today that will surely slash some money off from your instore purchases. You can use your vouchers today or on a later day just as long as you use it within the validity period. These in store discount codes can make you purchase more items especially if you are on a tight budget. Online and instore discount voucher codes opens up lots of options for consumers. There are still some traditional shoppers who want to inspect and see the items that they want to purchase before buying them. Luckily for some consumers, there are physical stores that are accepting discount vouchers and coupons so that their consumers can save money on their purchases or they can buy more items with their limited budget. Whether you are buying products online or in-store, you still have the same opportunities for using valid voucher codes. This is one of the newest promotional features that companies are making. There are also vouchers that you can apply to various categories and you can use them to all the physical stores of a certain company. If you are still not familiar in using vouchers, it is pretty easy. Some companies offer different coupons for specific brands, tags, and categories. All you need to do is to use it upon check out if you are purchasing online or present it to the cashier if you are buying instore. Another thing that you should remember is that there are some discount codes come with a validity period. You need to understand how they work so that you can take advantage of all the perks and benefits. Many companies offer a 10% promotional discount on first purchases. They also give special discounts to first time customers to encourage them to come back and purchase again from their store. So next time you buy a product, make sure that you use online or instore discount vouchers so that you can save some money on the side.